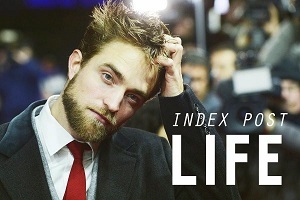 Everywhere in the streets, Robert Pattinson sees himself on posters, magazines covers and tells himself: This isn't me. "I don't recognize my face, my hair, nothing. It's like an out of body experience." 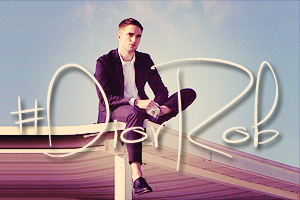 Yet standing on the terrace of a big hotel in the morning light, the lead of Cosmopolis, by David Cronenberg, looks like his image. Though, he's more discret and soft, and above all more happy. He laughs all the time, his contagious cheerfulness that nothing disarms. Subtle. The eternal question on celebrity, for starters. The star of Twilight that caused a riot during his last visit at Cannes (security had to carry him out so he could escape 700 rabid fans), starts with a serious answer. "The most frustrating is to know that it isn't me they like or hate. To know that I serve as a support to a feeling that has nothing to do with me." He think for a bit. "The paparazzi, you get used to them. But it's still weird to see those guys who decided to be assholes their whole lives. You feel like telling them: 'Why did you chose that job?' Everyone hates you!'" And then he starts laughing so hard he can't stop. "It's like people who give you parking tickets. You watch them, they all seem so happy! Mhhh cool, I'm gonna ruin someone's day!" When David Cronenberg called him, he jumped with joy and then with fear. His working method was different for the actor. "David didn't do rehearsals. A few days before the movie started, I called him. 'Don't you think we should talk about it a little?' He told me: 'Oh no, don't worry about it. It'll come on its own.'" On the set, he tried the old method. "I would lock myself all day in the limo to live like my character. I was hot, sweating and sleeping. They had to shake me to wake me up." On the third day, he finally got out. 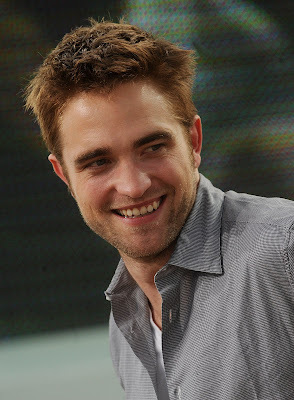 He claims that working with David Cronenberg gave him confidence. "I would look at the end of Twiight approaching and I started asking myself questions 'What to do, what are the right choices?'" Among his dreams, working with Jacques Audiard. "I love all his movies and his male characters are amazing. I would love to be like this." He lives in Los Angeles, like his girlfriend Kristen Stewart, a 'particular' life where he can't really go out for a coffee but he won't complain. One last anecdote: "When I go to restaurants, if I'm a little drunk ... and that I see someone with a phone, I tell myself: 'He's taking a picture of me!'" He starts laughing again. "So I get up, pissed off, go to his table: 'Show me your phone!'" He puts his hands on his sides. "Last time, I almost threw some guy's phone through the window. He wasn't he even taking a picture of me, he didn't even now who I was!"